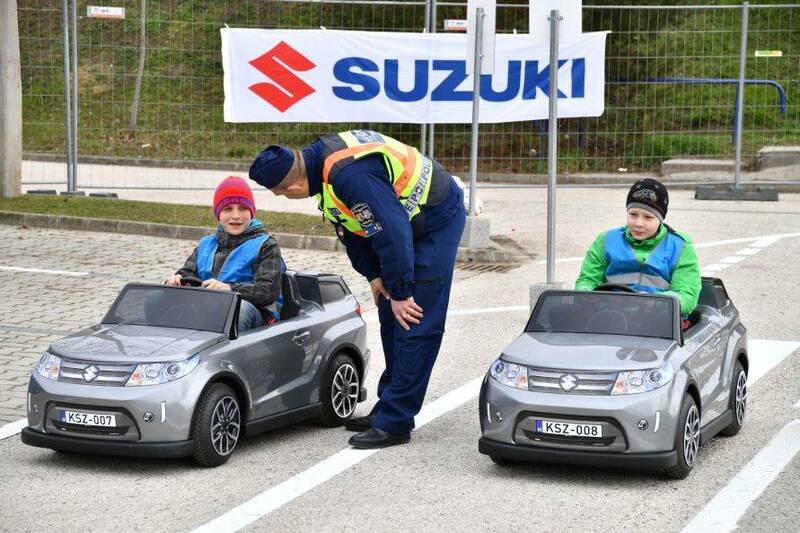 A thematic traffic education track is opening soon in Esztergom with the support of Magyar Suzuki, where children from 6 to 12 years of age can learn the basic rules of traffic in a friendly and playful environment. Besides promoting accident prevention and traffic safety, the Children’s Car Traffic Park of Esztergom offers a variety of entertaining programs, further growing the city’s potential as a tourist attraction. “While dreaming up the Park, we were a hundred percent sure that we wanted the Esztergom Park to feature mini Suzuki cars. So it means a lot to us that Magyar Suzuki Corporation joined the Municipality of Esztergom as a key sponsor of the project”, said project coordinator Gábor Korompai. 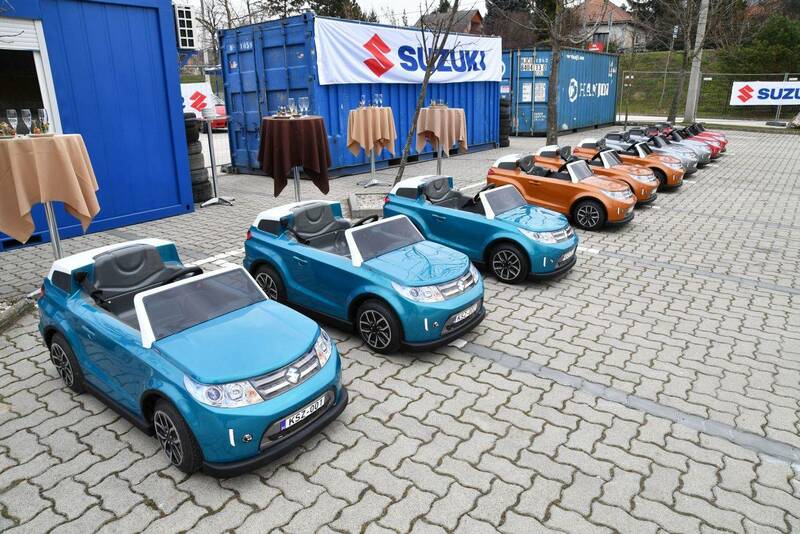 A total of 10 modern limited edition mini Suzuki Vitara electric cars with modern safety systems await visitors in the park, offering a unique experience not found anywhere else in the world. Cars will run on a single charge all day, with a maximum speed of 4kmph. Built-in adaptive cruise control systems will guarantee the safety of the children while they learn to drive. As part of the program, the kids first attend a 15 to 20 minute course on road regulations after which they receive their own driving license personalized with their photo. Then, with their newly acquired license, they can sit in the driving seat of the mini Vitaras, and start driving right away. 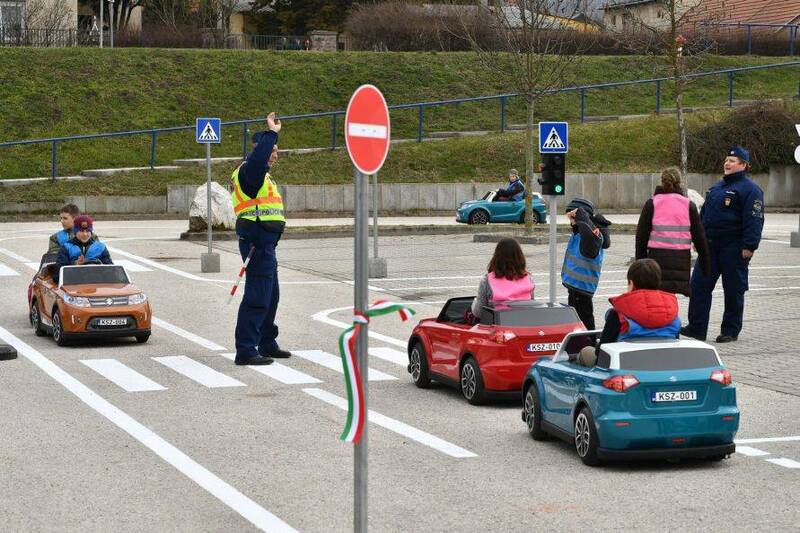 Children will encounter and can get familiar with virtually all traffic situations on the track—pedestrian crossings, signposts, parking lots, traffic lights, roundabouts, even a gas station. As a committed supporter of local communities, Magyar Suzuki Corporation takes an active role in several education programs. 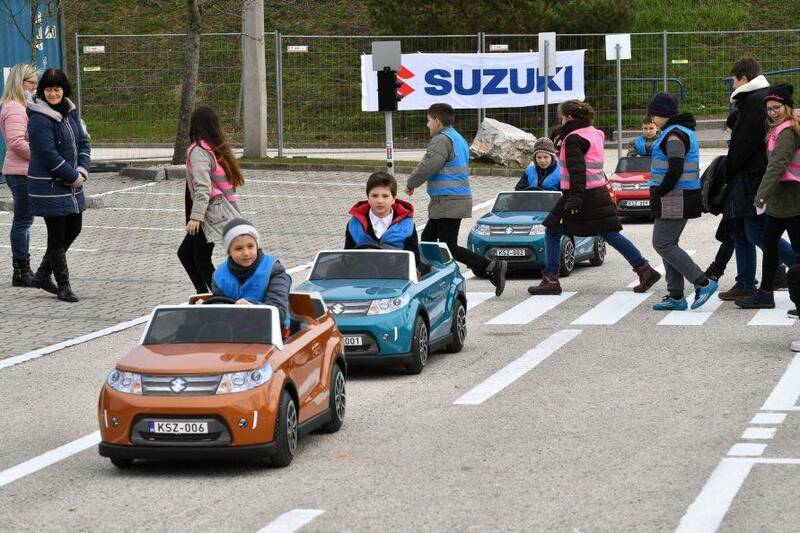 “Suzuki is happy to join this initiative, since as a responsible car manufacturer we are committed supporters of traffic safety education, something that cannot be started early enough,” says Ms. Viktória Ruska, Corporate Communications Manager of Magyar Suzuki Corporation. "We do believe that it is very important for children at this age to learn how to travel alone and comply with the rules of traffic. And this track here can serve as a wonderful and useful aid,” she added. 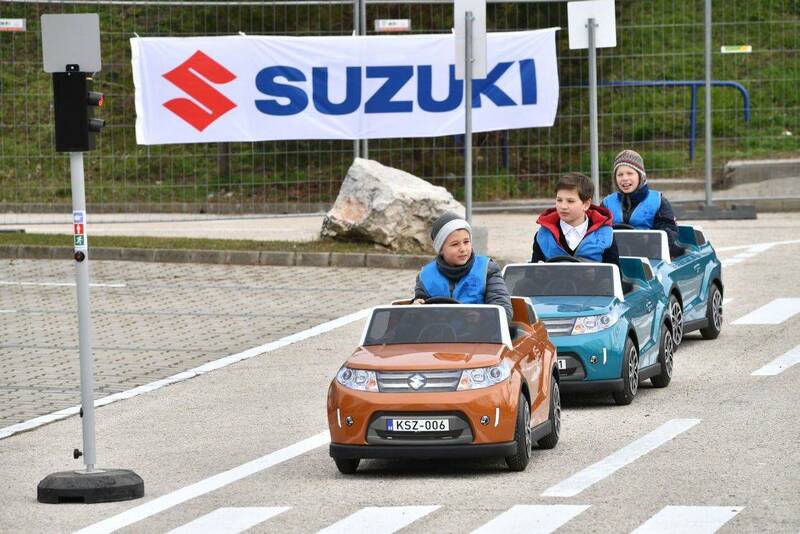 The 1400sqm park, located in the vicinity of Tesco Esztergom, will open on March 30, 2018, awaiting all children who wish to test their driving skills. The Park will be open on weekends in the school season, and throughout the summer holidays.